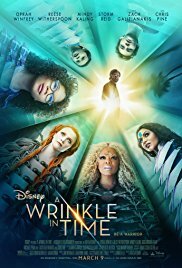 A Wrinkle in Time premieres tomorrow (March 8) with a star-studded cast and high box-office hopes. Based on Madeleine L’Engle’s classic novel of the same name, A Wrinkle in Time follows a young girl and her quest across the universe to save her father. The faith-infused book has quite a story of its own. Here are seven things you need to know about A Wrinkle in Time and its author. L’Engle almost gave up writing before it was published. Financial pressures were mounting for L’Engle, her husband, actor Hugh Franklin, and their children. After receiving yet another rejection letter on her 40th birthday in 1958, she decided she would give up writing and find a job to help pay the bills. 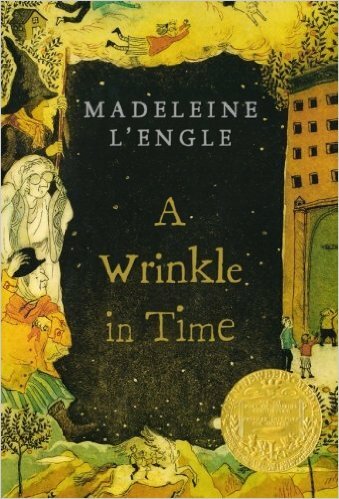 L’Engle found she could not stop writing and completed A Wrinkle in Time in 1960. It was published in 1962 and won a Newberry Medal the following year. As of its 50th anniversary in 2012, A Wrinkle in Time had sold more than 10 million copies. Faith elements have helped (and hurt) the book. Publisher after publisher rejected L’Engle’s manuscript for a complicated science-fiction fantasy for school-age children. Many cited the religious elements as troublesome. But for one publisher, those parts were a good thing. Those same elements have caused concerns for the upcoming Disney adaptation. The film’s screenwriter Jennifer Lee said they intend to leave some of the story’s Christian elements behind because they aren’t as relevant now. For her part, L’Engle says the weaving of her faith into her work was not particularly on purpose. Yet it remains on the American Library Associations’ list of frequently challenged books. The book actually made it into outer space. In 1966, the summer before her sixth-grade year, Janice Voss picked up a copy of A Wrinkle in Time. The travel through time and space inspired her to become a scientist and astronaut. After learning of Voss’ story, L’Engle sent her a copy to take on her next mission. On July 1, 1997, Voss took her fourth trip into space, this time with the book that inspired her. While in Earth’s orbit on the Space Shuttle Columbia, Voss actually read the book. She later sent it back to L’Engle for her to have. It has a sequel set during biblical times. A Wrinkle in Time is part of L’Engle’s “Time Quintet,” a series of books that follow the lives of the Murry family and their world-saving adventures. In one of those books, Many Waters, two of the Murry children find themselves involved with Noah and his family during the days leading up to the flood. Angels attempt to help the duo, while the mysterious Nephilim, mentioned in Genesis 6:4, are the main antagonist. The title of the book comes from Song of Solomon 8:7. L’Engle wrote the foreword for a C.S. Lewis book. L’Engle read C.S. Lewis, and their books are often compared due to the religious elements weaved into fantasy stories. Though they had theological disagreements, she attended a conference on Lewis at Oxford after she became a successful writer herself. She was moved by Lewis’ A Grief Observed and wrote the foreword for the 1989 printing of the book. Lewis’ written journey through the devastation of losing his wife to cancer resonated with L’Engle and the grief she had after losing her husband. The movie adaptation happened because of a 5th grade girl. After being sent to the school library in 1963 because she talked too much, Los Angeles fifth grader Catherine Hand discovered A Wrinkle in Time and became enthralled by it. She crafted a letter to the only man she thought could bring the book to life—Walt Disney. But she never mailed the letter and Disney died three years later. Hand worked her way up the ranks in Hollywood, always with an eye to adapting the book, including meeting with L’Engle to help secure the movie rights. They continued to hit roadblocks in making a movie adaptation until Hand became an executive-producer for a made-for-TV version in 2003. But that was a disappointment for both Hand and L’Engle. So Hand kept chasing the dream of making what many thought was an impossible movie. Now, 54 years after first reading the book, Hand is a producer for Disney’s blockbuster adaptation. Even before it releases A Wrinkle in Time is a record-breaking film. With a groundbreaking female protagonist in the story’s plot, Disney turned to a groundbreaking female director to helm the adaptation: Ava DuVerney. She is the first black female director to be nominated for a Golden Globe, the first black female director to have her film nominated for the Academy Award for Best Picture, and the first black female director to have won the U.S. Directing Award: Dramatic at the Sundance Film Festival. Now with A Wrinkle in Time, DuVerney is the first black woman to direct a live-action film with a film budget over $100 million. The first public screening of the movie took place in DuVerney’s hometown of Compton, California. Because there’s no theater there, Disney constructed a makeshift one and premiered the movie to local kids. 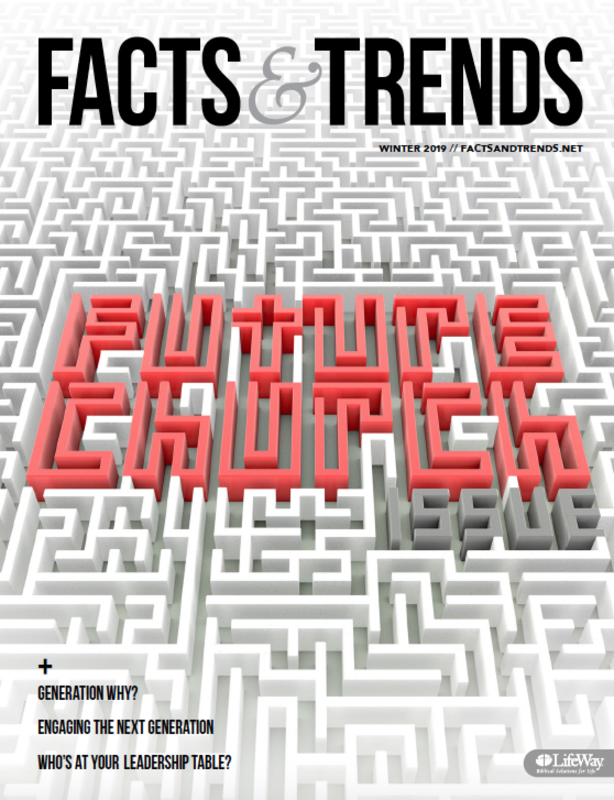 Previous Post: « Who Could Be the ‘Next Billy Graham’?